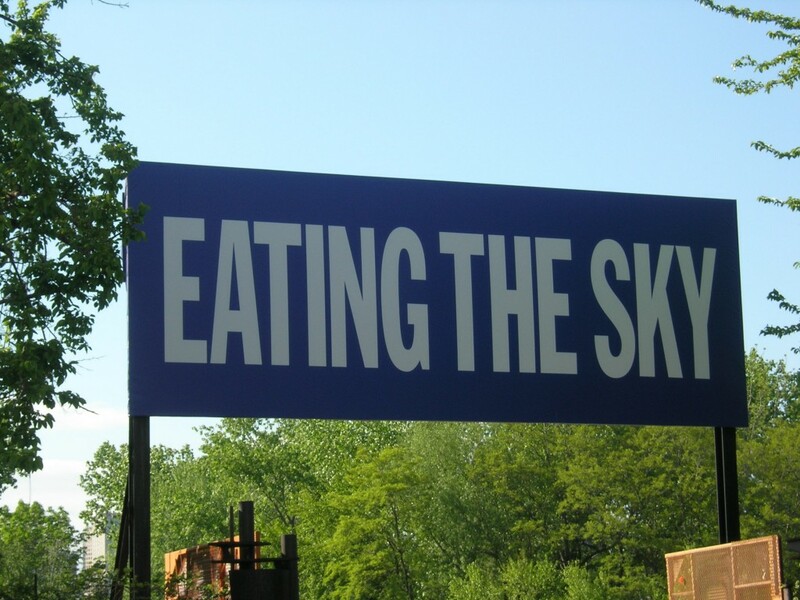 EATING THE SKY vibrates with both dystopic and utopic possibilities, depending upon your worldview or mood of the day. 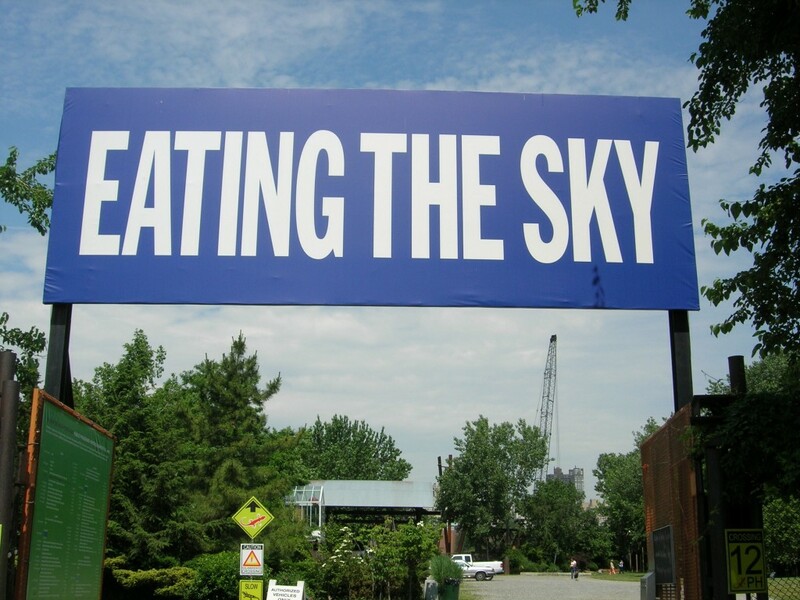 The seemingly declarative aphorism defies easy interpretation and toggles somewhere between environmental, existential destruction and spiritual joy and nourishment. Giorno’s concrete poetry – equal parts visual experience and linguistic force – has been apart of his practice since his first text paintings in 1967. 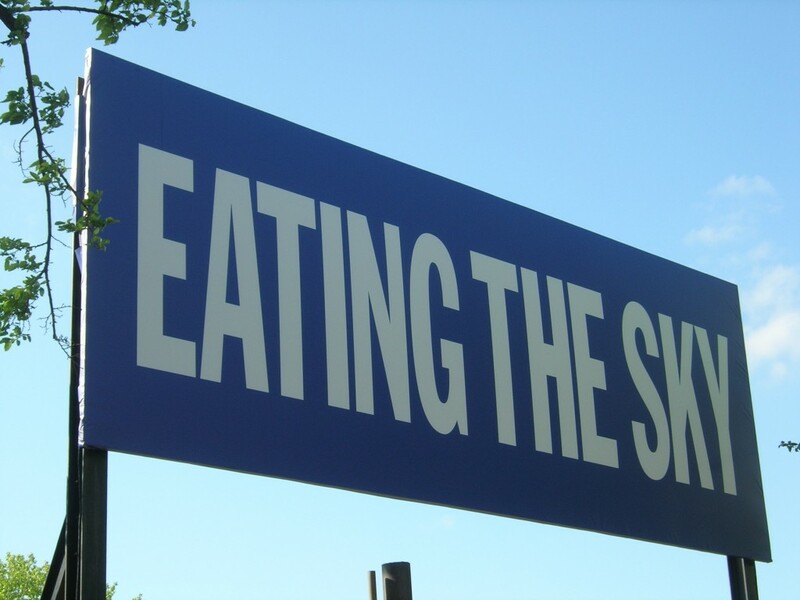 EATING THE SKY originally appeared as the first line in a poem in 1977, then became the title of a poem, and later evolved into a poetic aphorism and the subject of prints, paintings, and now a public art project.